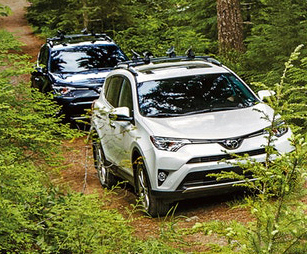 The new 2018 Toyota RAV4 Hybrid is the perfect SUV for those who love the endless adventure. Full of modern technology, sleek style and remarkable efficiency, you’ll enjoy every moment spent on the go in the new RAV4 Hybrid. Equipped with Toyota’s proven hybrid powertrain paired with the All-Wheel Drive with intelligence (AWD-i) system, you can make the most of any trip near or far. Plus, leave your cares behind out on the open road thanks to the impressive array of standard safety technologies like the Toyota Safety Sense™ P (TSS-P) keeping you safe behind the wheel from life’s unexpected moments. If youâ€™re looking for the thrill without sacrificing efficiency, then the new RAV4 Hybrid is the perfect road trip companion for you. 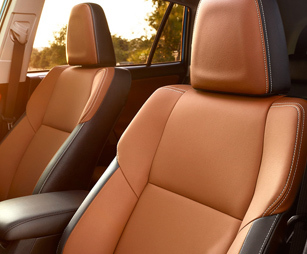 Come experience more for yourself when you test-drive a 2018 Toyota RAV4 Hybrid in Johnson City, TN, at Johnson City Toyota, also serving customers from Bristol and Kingsport, TN. 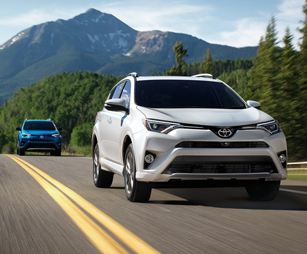 When your 2018 Toyota RAV4 Hybrid needs maintenance or repairs, look no further than our service department where our professionally-trained technicians are equipped to handle all your service needs. Whether you need a simple oil change or major repairs, you can trust the quality service you’ll receive here at our dealership. 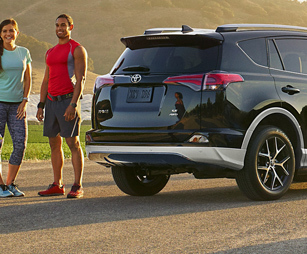 If you’d like to purchase or lease the 2018 Toyota RAV4 Hybrid in Johnson City, TN, stop by Johnson City Toyota at 3124 Bristol Highway, Johnson City, TN 37601 for a test-drive today. We look forward to serving our customers from Johnson City, TN, and throughout Bristol and Kingsport, TN. 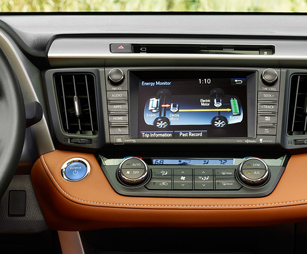 *Options listed are based on the RAV4 Limited Hybrid model shown in image.